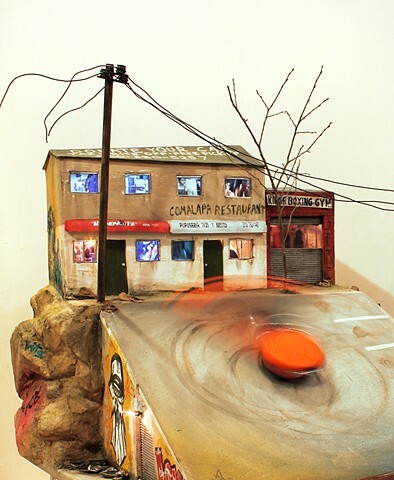 Oakland Sideshow is a sculpture depicting sideshows, a phenomena young urban groups do in Oakland--meeting up on streets and highways and doing fast spinouts and doughnuts in their cars. The buildings in the sculpture all exist in Oakland. The car is on a motion sensor and spins when activated.